The first Set of Tryout dates at Silverbacks Park has come and gone. They took place at 9 am on December 20th and 21st. As you would expect, not many people showed up. However, there were some familiar faces in attendance. One of them being photographer Dave Williamson who took a few pictures at the tryouts. Members of last year’s Silverbacks team that were present included Abdul Bangura, Abraham Lansana, Kemar Brown, Fabio Fernandes, and Avery Shepherd. There still are tryout dates left, but given the number of players from last year’s team at the first dates, it leads fans to believe that the core of the 2017 Silverbacks won’t be too different from that of the 2016 Silverbacks. 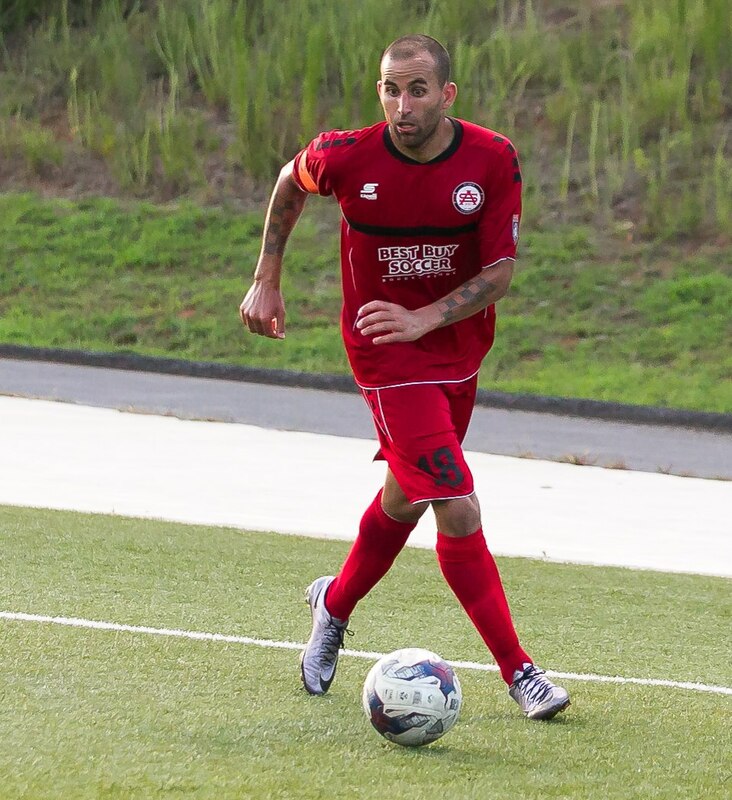 Last Year's captain Mitch Garcia has gone, but apart from that, there haven’t been any significant moves by Silverbacks players that have been announced by the club. Given his history with the Silverbacks Reserves, as well as the first team in the NASL days, Abdul Bangura seems like a likely candidate to take over the captaincy in Garcia absence. It was reported that he was supposed to be the captain last year but ended up missing the entire season due to injury. Obviously, the decision is in the hands of Phoday, and/or the Coaching staff, and the roster is still taking shape, but Bangura as captain seems like a reasonable guess. To say that the Silverbacks have gone through high turnover the last few years would be an understatement, but if the Silverbacks can retain a big part of last year’s team, it will make it easier to build on the success of last year’s team. The Silverbacks new opponents in the Southeast are bound to make the Silverbacks path to a Conference Championship more difficult, and the season is still very far away, but given the talented players that are most likely coming back, and Phoday’s sharp eye for talent, there just might be reason to believe that the Silverbacks can compete in the new Southeast Conference. After dead silent months of September, October, and November; news about the Silverbacks have finally come out. Three big pieces of news were confirmed within a span of a week. Realignment of the NPSL Southeast Conference, dates for Tryouts, and confirmation that Season Tickets will soon be on sale. With the withdrawal of Myrtle Beach Mutiny, Tobacco Road FC, and almost certainly Carolina Railhawks Reserves from the NPSL, the South Atlantic Conference is no more. It was announced on Sunday, December 4th, that the Silverbacks would instead be playing in the newly-realigned Southeast Conference. It will be split up into two divisions. The Silverbacks will be playing in the East Division with Asheville City, Carolina Discoveries, Georgia Revolution, and Knoxville Force. The West Division will be composed of Birmingham Hammers, Chattanooga FC, Inter Nashville FC, Memphis City, and New Orleans Jesters. There will be a total of 13 games for the Silverbacks, which is three more than they played last year. There will be a home and away game against each of the teams in our division, and one game each against the teams in the West Division that could be home or away. The Southeast playoffs will be composed of the top 3 teams from each division. On the same day that the realignment was announced, the Silverbacks confirmed via Twitter that Season Tickets would be going on sale soon. On Wednesday, October 7th, the Silverbacks Announced three sets of tryout dates. The first set of dates taking place on December 20th and 21st, the second being on January 3rd and 4th, the third being February 1st and 2nd, with an “Invitation Only Tryout” taking place on May 1st. All tryouts will be held from 9 am to 12 pm at Silverbacks Park. Players trying out will have to pay a fee of $50 if they register online in advance, and Walk-In Registration will cost $60. A Free Silverbacks T-shirt is included in the registration fee. It’s been a pretty boring offseason up until now, but this has been a very exciting week that might have made it all worth it. New opponents, a reignited rivalry with Chattanooga, new Cities to travel to for fans that enjoy going to away games, a longer schedule, and the possibility of a new group of exciting, locally based players are all worth getting excited about. Let’s hope the string of exciting news continues. 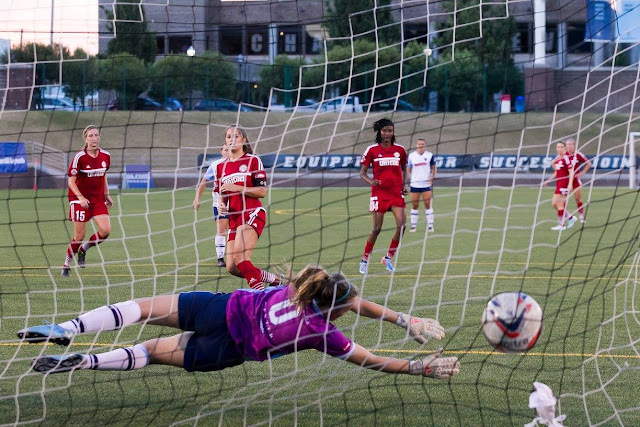 The WPSL Semifinal match between Atlanta Silverbacks Women and San Diego SeaLions has finished, and the Silverbacks have been knocked out by a score of 3-1. San Diego jumped on Atlanta early on with goals coming in the 15th and 31st minutes. The first scored by Angelina Hix and the second scored by Ashley Johnson. The Silverbacks got one back late in the first half when Rachel Shah scored to make it 2-1. Shah plays her college soccer at Furman University in Greenville. Last year during her sophomore season she lead the team in assists with 7 and helped Furman with the Southern Conference Championship and qualify for the NCAA tournament where they unfortunately lost 3-0 to Clemson. Shah also scored earlier in the season for the Silverbacks during a 3-2 win on the road against Knoxville. San Diego’s Janelly Farias scored a header to make it 3-1. This goal was the one that put the game out of reach for the Silverbacks. Their memorable season was ended by a very worthy opponent In San Diego; that was just a little bit stronger on the day. 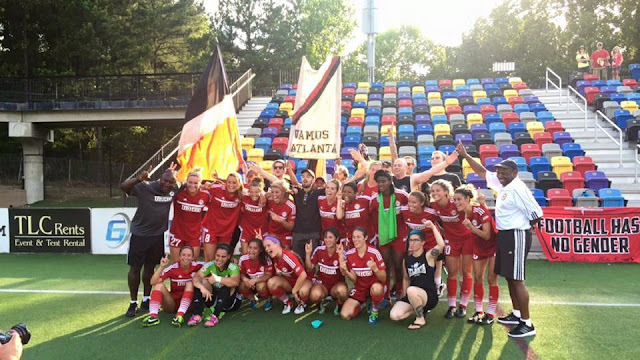 It truly was a great season for the Silverbacks Women. A season like this might not happen again for a few years. Success like that is hard to duplicate, but this season has given us reason to believe that the future is bright and even a small amount of success can become the norm for this team. A few members of this year’s team might be moving on to bigger things in the near future. But It is likely that some of the College-aged players will be coming back next year, and Metro-Atlanta is full of talent as far as Women’s Soccer goes. A lot of the talented players in the area are discovered by United FA and Iggy Moleka himself. So as long as the Silverbacks are trying their best to put a good team together, there will always be good players worth coming out to Silverbacks Park to see. With the season officially being over, the professional players will be looking for new clubs, and the College players who aren’t already back will he heading to their respective Colleges to prepare for the NCAA season. Wherever they go, we wish them all the luck in the world and thank them for a great season. The Silverbacks Women made the most of their second chance on Saturday with a 2-1 win over Lake Norman in the South Region Final, giving them a spot in the WPSL Final 4 in Columbus, Ohio. The Silverbacks will be joined by Boston Breakers Reserves, defending WPSL Champions Chicago Red Stars Reserves, and their semifinal opponent San Diego SeaLions. The Silverbacks opened the scoring early in the match. It was a mystery as to who scored it, though. Atlanta was given a free kick that was put into the box and it’s unclear as to whether a Lake Norman player put it in her net, or it just went straight in without touching any other player. Regardless, the Silverbacks were up 1-0 and shortly after they doubled their lead to 2-0 on a goal scored by Katya Gohkman. Unfortunately just seconds after Atlanta’s second goal Lake Norman’s Victoria Bruce made it 2-1. There were plenty of chances at both ends, but the game ended 2-1 in favor of the Silverbacks. Their road to Columbus had been completed. No one could have predicted that it could have happened the way it did, but anyone who watched the Women’s team over this season knew that they were good and had a chance of challenging for the National Championship. It’s an interesting Final Four with two independent teams pitted against each other in one semifinal match, and two NWSL Reserve teams pitted against each other in the other. San Diego SeaLions finished the regular season with 28 points and a 9-0-1 record, with their one draw coming on the road against FC Tucson Women. Their road to Columbus was completed when they came down from 2-1 to beat Seattle Sounders Women 3-2 in the Western Championship. 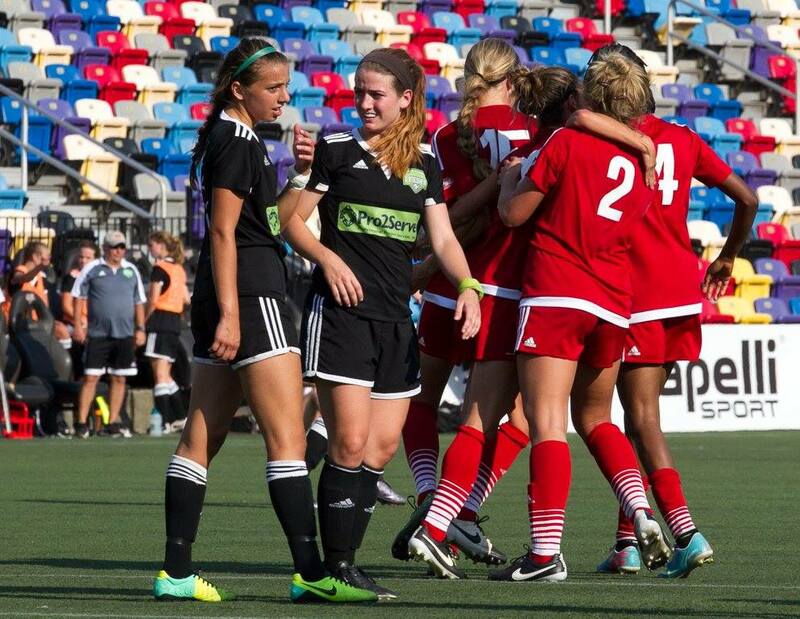 The 2013 WPSL Champions now face the Silverbacks in the Semifinals. Between their undefeated records, the score lines of their games, and the fact that both of them only allowed six goals in the regular season, there are a few similarities between the Silverbacks and the SeaLions. As of right now there will not be a stream of the semifinal game, but keep an eye out Twitter to see if a Periscope stream or something similar can be found. Along with the players that will be heading to Columbus, a good luck wish is in order for Brooke Hendrix, who will not be in Columbus because she will be on trial for AFC Ajax Women. Ajax Women started play in 2012 and won KNVB Women’s Cup in 2014. Obviously, Brooke will be missed this weekend but she has been a fantastic player for the Silverbacks, and it would be cool if she impressed Ajax enough to be signed by them. Kickoff for Atlanta’ semifinal match is 4:30 PM on Saturday. If they win, they will be in the final which will kickoff at 2 PM on Sunday. First, I want to apologize for this article being later than usual. As you can (hopefully) tell, I am not Taylor and his promptness far outshines mine. Okay, so much like everyone else, this news was kind of felt like being a Star Wars fan circa 1997 - You have good news about something coming, but the closer it gets, the more you realize it isn't what you thought it was. Even so, this is a great way for our Silverbacks to match themselves against a quality squad after a Championship Season. The squad in question is Middlesbrough FC U23s. At first, we were told it would be the first team who were just promoted to the Premier League. In our Jar Jar Binks moment, we realized it was the reserves. That being said, this is still a golden opportunity for our Backs. The Boro U23s will compete this year in the Premier League 2, which replaced the Under 21 Premier League for the 2016-17 season. The PL 2 is split into two divisions (1 & 2) which have 12 teams each. The two divisions have a promotion and relegation structure. Division 1 winner is the Champion of the League and its bottom two are relegated. The winner of Division 2 is promoted to Division 1 and the 2nd-5th teams engage in a playoff for the second spot, while there is no relegation out of Division 2. Now that the boring stuff is out of the way, back to the soccer. Boro won the U21 PL Div 2 in 2014/15. Their 2015/16 campaign did not fare as well, leading them to an 11th place finish in Division 1 and relegation. They will be in Division 2 of the revamped PL2. Their squad is stocked with players who have trained with and even earned first team minutes with some of the best clubs in the world. In fate's own way, they get to play one the world's best teams this Saturday. Middlesbrough travel to Silverbacks Park to play Willie B. FC in what should be a quality clash of squads. The game is the second of a doubleheader with the Silverbacks Women, whose playoff match starts at 2:00 pm. The match starts at 5:00 pm. Tickets start at $20 when you purchase online and $25 at the gate. Kids 10 and under are free. Come out tomorrow, #SupportOURSilverbacks, and enjoy a piece of international football as well. I know what you’re thinking. “Taylor, how does a season restart? !” It’ll be explained soon. I can’t promise you won’t still be confused. But it will be explained in due course. But there’s still the matter of one season ending that must be discussed. 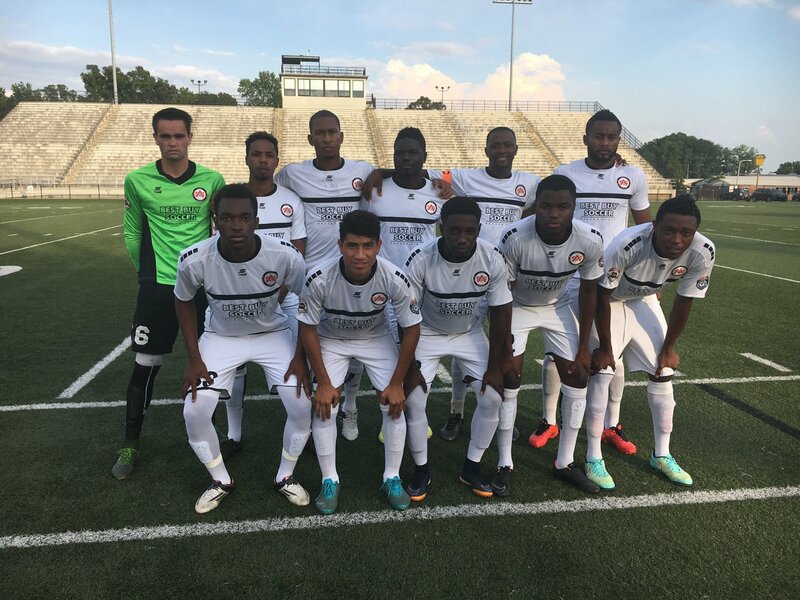 On Saturday, July 16th, the Atlanta Silverbacks Men’s team were in Miami to take on Miami United in the South Region semifinals. It was a chippy game, to say the least, and there weren’t many scoring chances until late in the game. Miami broke through for the first time in the 74th minute, and for the second time in the 78th minute. It was unfortunate that the Silverbacks found themselves in that situation, but they didn’t roll over and play dead. Far from it. Their response was a bit delayed but they their attack showed a lot of urgency towards the end of the game. In the 88th Minute Anthony Tokpah had his shirt pulled heavily in the box which prevented him from taking a shot. He continued to try to win the ball, and he ended up in battle with the keeper. Tokpah had his eye on the ball and attempted to kick it out of the keeper’s reach but then he seemed to make minimal if any contact with him. The keeper then waited for a good two second to go by before falling to the ground. The referee initially pointed to the penalty spot, but then when he noticed the Miami keeper rolling around like he had been shot, he showed Tokpah red. The Miami keeper then stayed on the ground for a long time when the worst the impact from the contact could have done was knock the wind out of him, but even that seems a little bit far-fetched. How bad was his reaction? Watch this GIF to see for yourself. To add insult to injury, the Silverbacks ended up not getting a penalty kick and instead getting a free kick on the edge of the box. The initial delivery by Polaz was headed away by a defender, but the Silverbacks were able to retain possession when Garcia won a header. The ball found it’s way to Kulov who then flicked it on to a Silverbacks player who inserted it into the net, but unfortunately, the goal wasn’t given because a player was inexplicably ruled offside by the Linesman. It stung a bit that the Men’s season ended the way it did. But It doesn’t change the fact that it was a great season for them. A stellar regular season with only one loss, and then winning the South Atlantic Conference by beating Carolina Railhawks and Tobacco Road FC in the playoff tournament. All of them put in tons of effort and won a lot of games in either dominating or dramatic fashion (not much in between but that's what made it so fun). It’s been a fun season and even though it’s only a friendly, it would be nice to beat Middlesborough’s U23 team to end the season on a high. Kickoff is 5 pm on Saturday, July 23rd at Silverbacks Park. Before the Middlesbrough game, the Silverbacks Women will be hosting Lake Norman Eclipse in the Regional finals. Here comes the explanation of how a season restarts. The Women lost to Knoxville Force in the Southeast Conference Semifinals, which at the time looked like the end of their season. However, it seemed that a few teams have dropped out of the playoffs, and with their undefeated regular season the Silverbacks were invited by the WPSL to not only play in the Regional Final but host the game. Therefore, their season has restarted, for lack of a better way to describe it. It’s a bit of a strange situation. But it’s very exciting that the Women’s team gets to play one more game at Silverbacks Park, with a chance to head to the National Championship Tournament in Columbus if they win. Their opponents Lake Norman Eclipse won the Carolinas Playoff Tournament after finishing second in the regular season standings. The Mooresville, North Carolina-based club finished the regular season with a 4-3-1 record and 13 points, 4 points less than regular season champion Carolina Elite Cobras. They have a few scoring threats on their team, such as forward Paige Trent and midfielder Victoria Bruce. The Silverbacks have been given a second chance at the National Championship, let’s see if they make the most of it. Kickoff at Silverbacks Park will be 2 pm. Let’s hope the last doubleheader at Silverbacks Park this season will result in two wins for the Silverbacks. Regional playoffs are here! 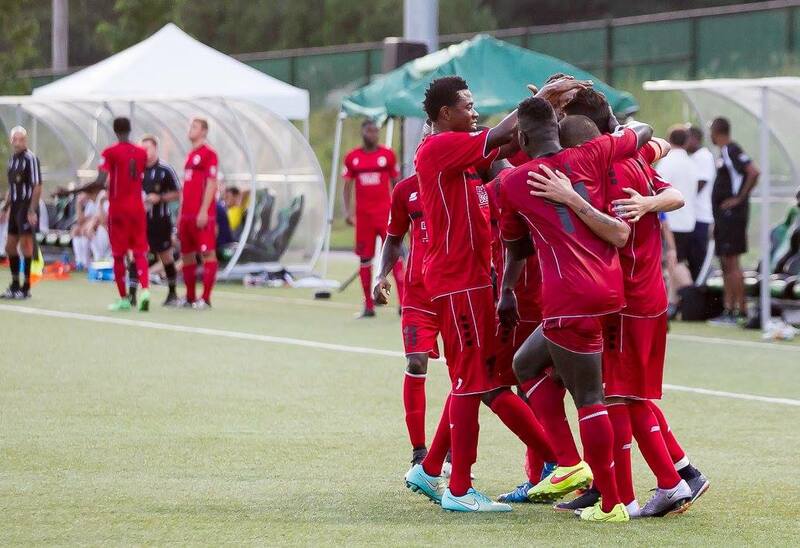 On Saturday, July 16, the Silverbacks will play Miami United in the South Region semifinals. Miami United play in the Sunshine Conference of the NPSL. They were founded in 2012 and played their first season in 2013. They play their games at Ted Hendricks Stadium at Milander Park, which is located in Hialeah. Hialeah is a city in Miami-Dade County with a population of 224,669 people as of the 2010 census. Miami United had their first taste of success in 2014 when they won the Sunshine conference after an undefeated regular season and wins over Storm FC and the Tampa Marauders in the conference playoffs. In the regional playoffs, they were defeated by Chattanooga FC. Despite their loss against Chattanooga, they still qualified for the US Open Cup. After failing to qualify for the regional playoffs in 2015, Miami United made a few changes which included bringing in former Venezuelan national team manager Ricardo Paez to manage them, as well as signing two big name players in Adriano and Julio Cesar de Leon. The last time Adriano had played was 2014. Their season started off with a terrible 5-0 loss against local rivals Miami Fusion. It seems that was a wakeup call for them because they won nine games in a row afterward. Their biggest win was a 5-0 win over Ft. Lauderdale. Their second meeting with the Strikers was a 5-1 victory. Their 4-0 win over Weston was also one of their biggest wins of the season. Their last four matches were only won by one goal, so they don’t seem to be as dominant as those big wins made them appear to be. They only allowed 13 goals this season, so they are very consistent on defense. That being said, so are the Silverbacks who have only given up ten goals. Miami has scored 28 goals this season and the Silverbacks have only scored 17. This isn’t a cause for alarm, however, because even if 17 is considered a “low” number of goals the Silverbacks have proven time and time again that they know how to score important goals that win them games. Apart from the playoff game against the Railhawks they typically don’t score for fun like Miami has done a few times, but that doesn't mean they are inferior in any way. It’s not going to be easy, but the Silverbacks are capable of winning this game. Apart from Abu Tommy being suspended for a red card, they will have almost everyone at their disposal. Every game seems to have had a different hero, and everyone will be rising to the occasion in this one, but it’s impossible to predict who will have that one big moment whether it be a goal to take the lead or a clearance off the line to keep the lead. You’ll just have to watch the game yourself to see who produces the magic. Many Silverbacks fans will be gathering at Elder Tree Pub in East Atlanta to watch the game together. If you’re not crazy enough to go all the way to Miami like a few of the Ultras and a particular blogger will be doing, then Elder Tree is the place to be. Wherever you are on Saturday when 7 pm rolls around, make sure you’re watching and supporting your Silverbacks in what is bound to be a compelling contest. After a 2-1 win against Tobacco Road FC, the Silverbacks are the champions of the South Atlantic Conference. Want to read that one more time? The Silverbacks are champions of the South Atlantic Conference. It has a nice ring to it, doesn’t it? A game full of drama, the Silverbacks winning, and the celebrations on the field following the final whistle all made for a night at Silverbacks Park that everyone in attendance will not soon forget. Kickoff was delayed due to Tobacco Road’s bus being stuck in traffic. In the first half, there were a few chances for both teams. But a lack of luck for the Silverbacks and another solid performance by Bryce Billington made for a 0-0 score at the end of the first half. Things became much more interesting in the second half. Starting in the 72nd minute when the Silverbacks were given a free kick in dangerous territory. Garcia crossed it in, and it was initially caught by Tobacco Road’s keeper Benjamin Hummel, but he seemingly lost control, and the ball was inserted into the net. The goal was ruled out as there had been contact between Hummel and a Silverbacks player that caused him to lose the ball. Only a few seconds later Tobacco Road were awarded a penalty when Mitch Garcia and Tobacco Road’s Evan De Ycaza collided in the box. Jason McCartney, who plays his college soccer for Emory, took the penalty, which he converted by chipping it down the middle. The Silverbacks struggled for the next 18 minute to find the equalizer. They were desperate, but nothing worked until stoppage time when the ball met a Tobacco Road player’s hand. Many people at Silverbacks Park felt that the handball had occurred in the box, but the ref ruled that it was just outside and gave the Silverbacks a free kick right on the edge of the box. Mitch Garcia stepped up and took the free kick brilliantly to level things up. With his deadly left foot, the Silverbacks’ captain curled the ball into the top right part of the net. Stunning Benjamin Hummel who could only take one small step and watch it fly past him. Garcia’s goal forced extra time, and all of the momentum had shifted to Atlanta as extra time began. In the first half of extra time the Silverbacks took the lead when a long ball from Adnan Bangura met both of Hummel’s fists, he was then caught way out of his net as the ball he punched away found its way to Pedro’s foot and from there it bounced in the direction of Avery Shepherd who headed in with his back turned to the goal. After turning around and verifying the ball had gone into the net Shepherd took his shirt off and made a mad dash towards the Silverbacks bench. He was given a yellow card for taking his shirt off but who could blame him? According to the Silverbacks Twitter page, it was his third game-winning or tying goal of the season. The Silverbacks were able to hold on despite a late red card for Abu Tommy. Tommy was given a straight red card for a challenge that was deemed reckless by the ref. 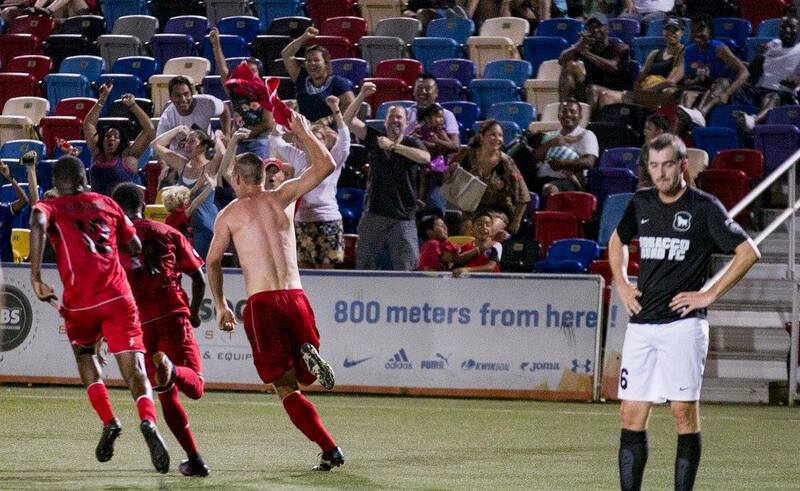 A great crowd was on hand to witness a great night that will go down in Silverbacks history. When the final whistle blew, many fans ran onto the pitch to celebrate with the players. Fans were hugging the players, jumping around with them and singing the universal song “Campeones Campeones Campeones ole ole ole” in tribute to them. Many people said they hadn’t felt that kind of happiness and energy at the park in a long time. Amongst those in attendance was Colin Hubbard, a writer from the Gwinnett Daily Post. Regarding sports, GDP is mostly known for their coverage of local High School sports, the Gwinnett Braves AAA Baseball team, and the Gwinnett Gladiators ECHL Hockey team. Apart from that they have always covered the Silverbacks very well throughout their years as a professional team. Since the move down to the Semi-Professional ranks this year there hasn’t been much content about the team but the buzz created by the playoff run, along with the first playoff game being played in Gwinnett County made it impossible for them not to write something about it. The previously mentioned Colin Hubbard wrote fantastic articles about the wins over the Railhawks and Tobacco Road. He also tweeted a video he took at the game, which captured the tying goal and his priceless reaction to it. Another notable person in attendance was Wojtek Wysocki. Wojtek is a familiar name to those who have seen his Youtube channel that is full of highlights from basically every home game of the NASL era. He hadn’t uploaded any highlights from this season in the NPSL before the playoffs but with the last two games he has picked up right where he left off and put together two great highlight videos. Through the South Atlantic playoffs, it was great to good crowds at both games. It was good to see articles about the Silverbacks from the Gwinnett Daily Post again. It was good to see Wojtek walking around with his camera again, and most of all it was good to see the Silverbacks take the crown. Regional playoffs are what lays ahead for the Silverbacks. Their first opponent is Miami United, who are the champions of the Sunshine conference. There will be a preview of the game against Miami in the next few days. They will be a tough team to beat, but the Silverbacks seem like they will be up to the task. The game will be streamed by Miami so be sure to tune in. Silverbacks fans who made the journey to Georgia Gwinnett College were treated to a fantastic 4-0 win by the home team. The Silverbacks put four goals past the Railhawks keeper, the most goals they’ve scored this season, and the defense led by captain Mitch Garcia was impenetrable. The usual suspects, Pedro Polaz and Johanning, were well and truly at the top of their games. Polaz scored two goals and provided an assist. Johanning was causing havoc as he usually does and scored a goal as well. 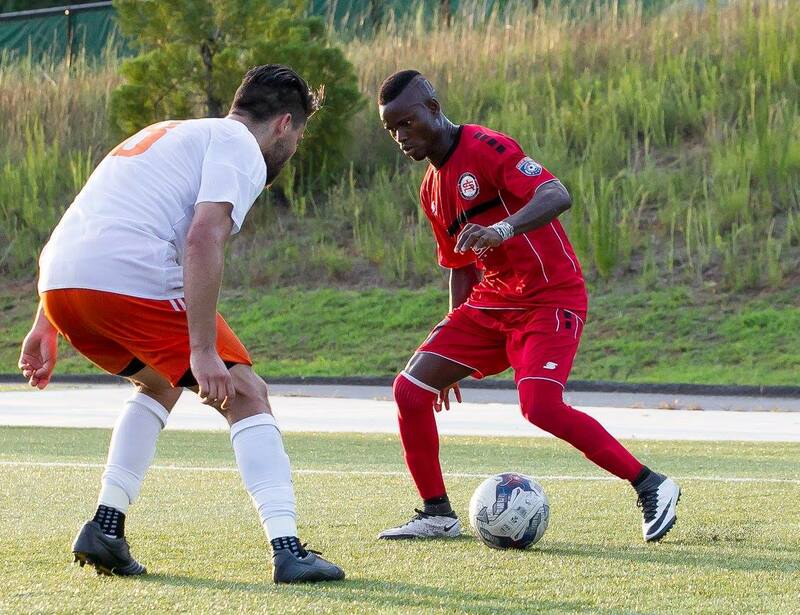 Gabriel Obatola also found his way onto the scoresheet by scoring in the 31st minute to make it 1-0 Silverbacks. This was his first goal since the Silverbacks 1-1 draw in Durham against Tobacco Road FC. When Tobacco Road FC came to Silverbacks Park, Obatola did not take part because he was still serving his suspension after his red card against Myrtle Beach. Considering he scored against the Railhawks on Thursday, and that he’s scored against Tobacco Road before one has to think he has a chance to play a part in Saturday’s game. Before this game, the Silverbacks hadn’t even scored four goals in a game this season. The most they had scored was 3 in their opening game in Conyers against Georgia Revolution. The Silverbacks players well and truly rose to the occasion by scoring so effectively in the biggest game of the season, thus far. A victory on the road against Indy Eleven on August 2, 2014 was the last time the Silverbacks scored four goals in a win prior to their game Thursday. It was also the Silverbacks largest margin of victory since May 28, 2014 when they beat Chattanooga FC 5-0 in the US Open Cup. While the Silverbacks were dominating the Railhawks, the Mutiny and Tobacco Road FC were locked into a very tight contest. There wasn’t a goal until stoppage time when Tobacco Road were awarded a penalty which was converted by Diout. If Tobacco Road getting a penalty late in the game sounds familiar to you, that’s because it happened when the Silverbacks were playing them in Durham. This time, it had a much more positive effect on the Silverbacks because the penalty, and the 1-0 Tobacco Road victory, meant that the Silverbacks would be hosting Tobacco Road FC at home on Saturday. After losing 8-1 at home to the Railhawks in their last regular season game, no one could have predicted that Tobacco Road FC would defeat Myrtle Beach, much less in Myrtle Beach’s house. However, they pulled off the upset and will now be making the trip to Atlanta. One thing about Tobacco Road that sticks out is their success on the road. Prior to their playoff victory, Tobacco Road tied Myrtle Beach at Ashley Booth Stadium to start the season. They beat the Railhawks 2-1 in Cary and beat Georgia Revolution in Conyers. Their regular season road record was 2-1-2. They only lost one road game this season. Against who you ask? The Atlanta Silverbacks, that’s who. It has been confirmed that the game will be played at Silverbacks Park with an 8 pm kickoff. Buy your ticket and make your way to the Park to see if the Silverbacks can replicate, or even improve on their success against the Railhawks! Earlier this week I wrote a preview of the Men’s playoff game against the Carolina Railhawks NPSL. They won, and there will be a review of that fantastic victory coming soon. But in the mean time I will preview the Women's playoff tournament that will also be taking place at Georgia Gwinnett College this weekend. This year is the first time the Silverbacks Women have made the playoffs since 2011 when they won the USL W-League championship. In the Eastern Conference playoffs, the Silverbacks beat the New Jersey Wildcats and tournament hosts Charlotte Lady Eagles to advance to the national tournament in Tukwila, Washington. In Tukwila, they defeated a Vancouver Whitecaps Women’s team that featured a young Sydney Leroux by a score of 3-1 en route to a 6-1 thrashing of the Ottawa Fury women to win the National Championship. Obviously, that was then, and this is now, but there is evidence that this year’s Women’s team is capable of possibly going deep into the playoffs. The first team standing in their way is the Knoxville Lady Force. The Silverbacks beat Knoxville in both of their meetings this season. 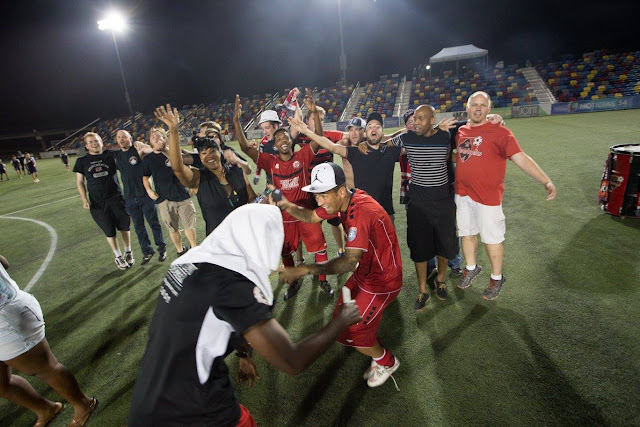 The first win came on June 14th at Knoxville’s Samson Sports Complex when the Silverbacks went up 3-0 and despite Knoxville’s best efforts to get a point from the game, held on to win 3-2. The Silverbacks were able to win the second meeting pretty comfortably at Silverbacks Park on July 2nd with two second half goals and a clean sheet. Goals by Katya Gokhman and Keely Cartrett lead the Silverbacks to a 2-0 win. Considering they won every regular season game they have played, the Silverbacks are clear favorites in this game. Knoxville do have a few threats in their team that Atlanta will have to contain like they did in their meeting at Silverbacks Park last weekend. According to the WPSL website Kelly Pannell has three goals in 7 games, making her the Force’s leading scorer. Other Knoxville players that have scored more than one goal this season are Ashley Creason and Ashley Hickman. Knoxville did have one strong week where they beat Alabama on June 17th and Nashville on June 19th. Following those two wins, they finished the regular season on a very low note by losing their last three games to Chattanooga, Gulf Coast, and Atlanta. Before the Silverbacks vs. Force game, Gulf Coast Texans will be taking on Memphis Lobos at Georgia Gwinnett College. The winners of both games will play in the final at 4 pm on Sunday, which will also be held at Georgia Gwinnett College. They have only played both of these team once. The Texans (from Florida) came to Silverbacks Park on June 10th, and they were defeated 3-1 by the Silverbacks. 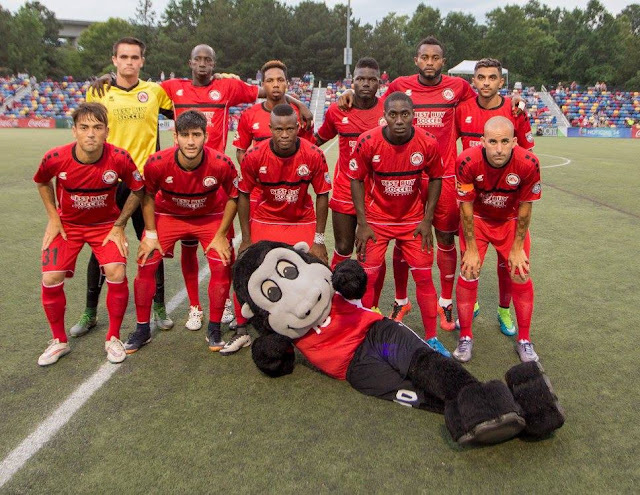 Memphis were undefeated after five games when they arrived in Atlanta on June 18th, but the Silverbacks ended their winning streak by beating them 2-0. 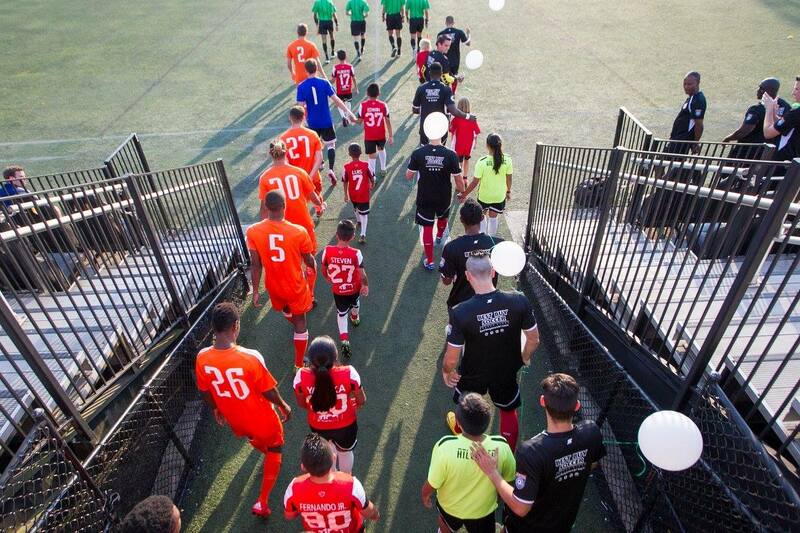 Being the best team by far in the regular season doesn’t always translate into playoff success, but the Silverbacks have proven that they are capable of outplaying all of the other teams in the Southeast tournament. Nothing has slowed them down through the season so they should be able to rise to the occasion and take care of business. Good luck ladies, we’re all rooting for you! That’s right folks; playoff soccer is back in Atlanta! No, we are not kidding you. Both the Men’s team and Women’s team have not only made the playoffs but have home field advantage for at least one round. The Men will be taking on the Carolina Railhawks NPSL squad, and for the first time since winning the 2011 W-League Championship the Women’s team are in the playoffs as well. Keep an eye on Planet of the Backs for a Part two of this playoff preview, which will include everything you need to know about their playoff game as well. This year is the first time since hosting the 2013 NASL Soccer Bowl that the Silverbacks First Team will be taking part in postseason play. Since then the Reserves made the playoffs in both 2014 and 2015, but that is a different story that we will get to all in good time. 2013 was the only year the NASL had the Spring Season Champion host the Fall Season Champion in the Soccer Bowl rather than having a playoff system traditional to American sports, so you would have to go back to 2007 to find the last time the Silverbacks first team played in regular playoffs. As mentioned before, the Reserves made the playoffs last year. In the first round they played Georgia Revolution (oh how they’ve fallen since then) at Silverbacks Park in a game they dominated 4-1. Gaetan Massiah was the man of the match with two goals and an assist. Obviously, Massiah is not a part of the team this year as he is now the Head Coach of the Varsity Boy’s team at UMS-Wright, a Prep school in Mobile, Alabama. After thrashing the Revolution, the Reserves were stopped in their tracks by Chattanooga FC, who beat them 3-0 en route to making it to and hosting the NPSL Championship game which they lost to New York Cosmos B. This year the Railhawks are Atlanta’s playoff opponent. This season the Silverbacks got the better of their foes in both regular season meetings. The first win was by a score of 1-0 in Cary, in which Pedro Polaz score the goal. In the second game at Silverbacks Park, the home team found themselves down 1-0 at halftime. With second half goals from Johanning, and Avery Shepherd the Silverbacks completed the comeback to win 2-1 and sweep the Railhawks. Following their loss in Atlanta, the Railhawks won 2 of their last three regular season matches. Their two wins came when they handed Myrtle Beach their only loss and thrashed Tobacco Road FC 8-1. Their top scorer is Nils Bruening, who did not play in either game against the Silverbacks but scored five goals this season. On Paper, the Silverbacks seem to be the better team. Better record, fewer goals conceded, wins in both games, and the 14th spot in the NSPL power rankings in which the Railhawks have the 49th place. The only advantage the Railhawks have is that they have scored seven more goals than the Silverbacks (24 for the Railhawks, 17 for the Silverbacks). It goes without saying that the game is not contested on paper, but it has been proven that the Silverbacks are capable of beating the Railhawks. If they do win, they will either travel to Myrtle Beach or host Tobacco Road FC. It depends on how the other game goes. In case you missed it, the kickoff time and venue has been changed. The game will no longer be played at 3:30, but instead at the much more sensible 7 pm. Instead of Silverbacks Park, it will be played at Georgia Gwinnett College. The club deserves massive credit for finding a venue that would let the Silverbacks play at a convenient time for the fans and a time where it won’t be close to 100 degrees. Georgia Gwinnett College is only 18 miles from Silverbacks Park, which isn’t too bad, but you’re probably better off avoiding 85 North in Gwinnett County if you can. The address is 1000 University Center Ln. Lawrenceville, GA 30043. Come out and support your Silverbacks in the playoffs! The Atlanta Silverbacks men's team have wrapped up their South Carolina road trip, as well as their regular season. Unfortunately, both games ended in draws and they were not able to win the South Atlantic Conference regular season title. On Thursday the Silverbacks traveled to Myrtle Beach to play the Mutiny, who ruffled a few feathers when they were in Atlanta. 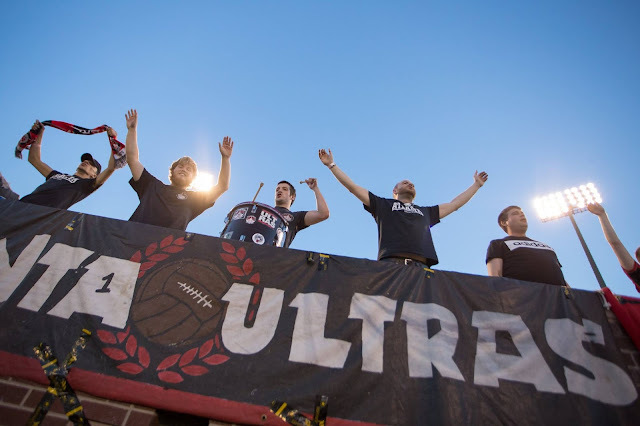 Between an incident that resulted in a Silverbacks red card for retaliation but nothing for the original offender, a goalscorer taunting the Atlanta Ultras, and also a heated discussion between players that allegedly occurred after the match ended. All of this was enough for many Silverbacks fans to decide that they are not fond of the Mutiny. Atlanta started off the game in Myrtle Beach fantastically with two first half goals. The Silverbacks took the lead in the 33rd minute on a goal scored by Johanning. The Second goal came when the Silverbacks were awarded a penalty which was converted by Pedro Polaz. “No lead is safe” is one of the biggest cliches in sports but it is always true. Unfortunately, the Silverbacks proved it by allowing the Mutiny to score two goals. What makes it even more frustrating is Tobenna Uzo, who didn't even enter the game until the last half hour of the game, scored both goals. Despite coming on late in the game, he managed to score in both the 61st minute and the 75th minute. The game ended 2-2, which was hard for some fans to swallow. Many were left wondering how the two-goal lead had gone away in that fashion. In the end, the Silverbacks shared points with the Discoveries, as did Myrtle Beach with the Revolution despite being down a man and trailing 1-0 for a good portion of the game. Let’s face it, with the way the Revolution have played this year, 11v10 in their favor is probably about as fair as it could be for them. The final score was also 1-1. The regular season has come to a close. It’s fair to say it’s been a bit of a roller coaster, as it usually is with the Silverbacks. One thing that cannot be questioned is how fun the season has been. Sweeping the Revolution, sweeping the Railhawks, coming from behind for a few wins, and obviously just being at Silverbacks Park when there was uncertainty that we would be, have to be amongst the highlights. 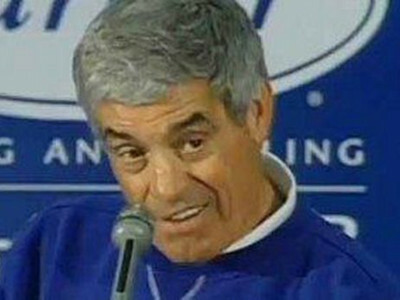 The regular season has come to a close and now the playoffs are here. It was originally announced that the playoff game against the Railhawks would be played at 3:30 at Silverbacks Park. This announcement was met with confusion, outrage, and many people demanding that it be played at a more suitable time, even if it had to be at another venue. As of right now nothing has changed, but a source who has been in contact with someone at the club has informed me that the search is on for a different venue that will allow the match to be played at a more appropriate time. Keep an eye on the Silverbacks’ official Twitter and Facebook pages for information in the next few days, and when everything is confirmed, there will be a preview of both the women and men’s first playoff matches on Planet of the Backs. Silverbacks fans can only hope that this issue is resolved soon. It would be a shame if Atlanta’s first taste of playoff Soccer since 2013 was marred by an inconvenient kickoff time. The Silverbacks Women have done it! The WPSL Southeast Conference championship, and an undefeated regular season to go along with it. A win on the road against Chattanooga FC on Thursday clinched the conference title, and then a win at home against Knoxville Force kept Atlanta’s perfect season intact. With a handful of fans not far behind them, the Silverbacks made the trip up I-75 North to Chattanooga to take on Chattanooga FC’s women’s team. Atlanta opened the scoring when a Brittney Reed free kick from a little bit past midfield met Zaneta Wyne’s head, with the ball floating just out of the reach of Chattanooga’s keeper. The Second goal occurred when a long pass found Katya Gokhman who passed it perfectly to Jocelyn Baker who applied to finishing touch. 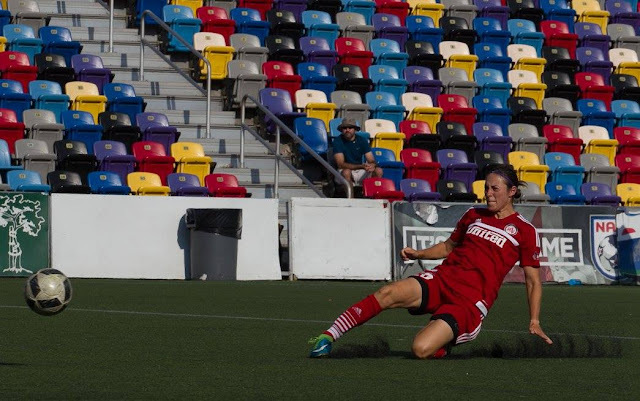 According to the WPSL website Baker has scored four goals this season, making her the Silverbacks top scorer. The Silverbacks kept a clean sheet until the 63rd minute when Chattanooga broke through on a goal scored by Carlie Banks. The Silverbacks were able to get an insurance goal towards the end when the ref gave them a penalty after Brooke Hendrix was tackled in the box. Apparently, the Chattanooga player temporarily forgot which football she was playing. Tess Patton then slotted home the penalty to make it 3-1, which would be the final score of the game. 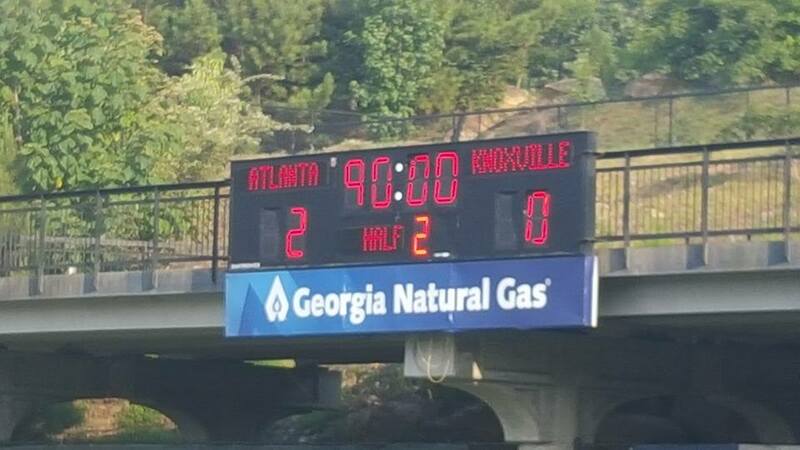 At the last home game of the regular season, the Silverbacks played Knoxville Lady Force. The game started at 5 pm, and it was scorching out there. The fact that the Silverbacks were wearing red and Knoxville were wearing black probably didn’t help much. The players seemed to struggle with the heat in the first half. There were still some good chances created at both ends, but the game remained scoreless going into halftime. Late in the first half, the Ultras were heard facetiously chanting “turn on the AC” and apparently the person running the @SilverbacksWMN Twitter account heard them because they hilariously sent out a tweet informing fans that the bathrooms had AC. They opted to just spend halftime in the shade rather than in the bathroom, but it was still a funny tweet. In the second half it cooled down a little bit, and the Silverbacks scored shortly after play resumed when a Brooke Hendrix pass gave Katya Gokhman a one on one chance with the keeper which she converted by slotting it into the bottom left corner of the net in the 48th minute. In the 64th minute, the Silverbacks scored again when Ester Anyanwu passed it to Keely Cartrett who beautifully curled a shot just out of the keeper’s reach. This 2-0 win was enough for the Silverbacks to complete a perfect regular season. If you weren’t already aware, Thursday’s match was streamed by Chattanooga FC, who stream all of their women’s games. Personally, I think it’s fantastic that Chattanooga does this, and I think the Silverbacks HAVE to start doing it either for the playoff games, or next season. Like the men’s players, the women are also looking for a big break. Some of them have already played professionally in Europe or even in the NWSL and they are currently with the Silverbacks because are looking for new opportunities, and the club streaming the matches would make it much easier for them to be discovered. As the title of this post says, these girls are on fire; so if footage of them winning every match they play in fairly dominating fashion was available to scouts, it would do a lot to help their reputation. As I wrap this piece up, I’d like to congratulate the players, Iggy, and everyone else involved with the team. It has been a fantastic season, and I feel privileged to have followed, and written about the team this season. As the playoffs are set to start there a few things details are still to be confirmed but as the top seed, Atlanta will be hosting a playoff game. There is still a lack of clarity as to when and where exactly but according to a source, it will be on Friday at Silverbacks Park. When a time and place is confirmed, make sure you do everything in your power to make it, because every time these women step onto the pitch they put on a fantastic show and the playoffs be no difference, or it could be even better than it has been before.